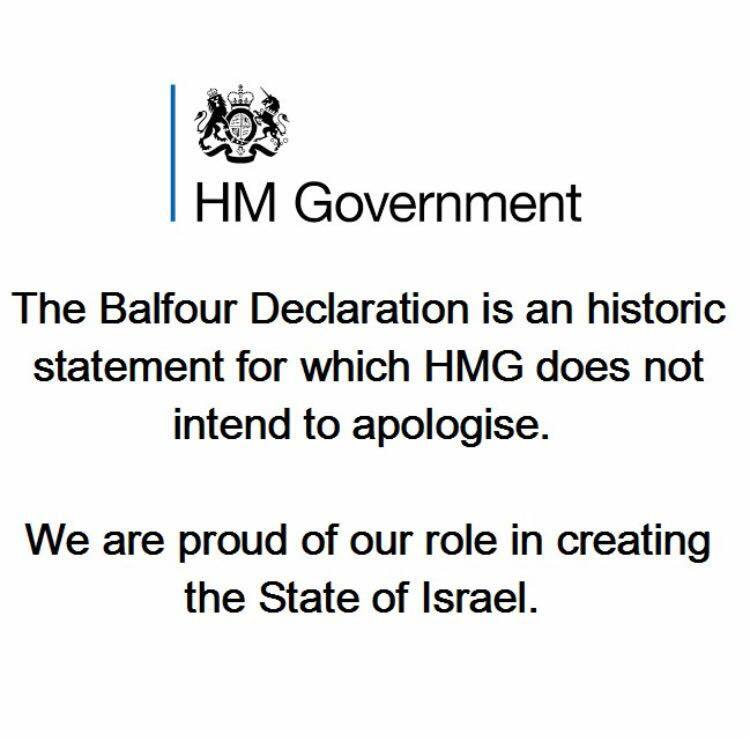 And the theo-political arguments have continued ever since: Was the Balfour Declaration a fulfilment of biblical prophecy? Was it God honouring His promise? Is Christian Zionism an un-biblical cult or an expression of the Abrahamic Covenant? Do Jews own the land by divine right? What right did Britain have to gift the land to anyone? Did we betray the Palestinian Arabs in doing so? Has not the Church replaced Israel? How can ethnic Jews return to their homeland if they have not repented? Aren’t ‘Israel’ and ‘Promised Land’ just metaphors for how things ought to be among the people of God? Can’t the promised land be found or built anywhere there are people of faith? If you incline to supersessionism or ‘Replacement Theology’, you’re an anti-Semite. If you incline to Zionism and the notion of a ‘Promised Land’, you’re a shallow, cultic biblical literalist. Didn’t God choose Israel (Deut 7:6)? Wasn’t the restoration of Israel God honouring His promise (Ezek 37; Zech 12; Rom 11)? Well, it depends what you mean by ‘promise’. Should Christians believe those parts of Scripture where God promised that a virgin would conceive? Isaiah 7:14 didn’t really refer to a promised messiah: it was just about a general plan of salvation, wasn’t it? And he wasn’t born in the long-promised Bethlehem either, was he? That’s just a metaphor for anywhere – like Slough or Lewisham, or maybe Kirkudbright. And he didn’t have to be a ‘he’ either, did he? That’s just a metaphor for all humankind. And his name didn’t have to be Jesus (Mt 2:21), meaning ‘The Lord saves’, because it could have been Brian or Steve. There’s no real, actual promise that the Lord will save us from our sins (Zech 3:9), is there? He is not ‘God with us’ (Mt 1:23), and He didn’t need to suffer (Is 53:7) because there’s no real reward for obeying the word of God (Lk 11:27). Jesus isn’t the visible image of the invisible God through whom all things were created (Col 1:15f) – that’s just daft. He didn’t reconcile us to Himself through the Cross (v20), and He’s not the glory of the nations (Ps 96:3; 39:21). And when God promises that nothing shall separate us from the love of Christ (Rom 8:35), he didn’t really mean ‘nothing’ – He meant God’s love is completely dependent on the which side of the bed he gets out of in a morning. Are God’s promises to Christians somehow of a different theological order to those He made to Jews? Many Christians would say yes, of course: the NT superseded the OT. But why should Christians believe God’s eternal promises to them if His promises to the Jews were provisional and reneged upon? Where does the confidence come from? It seems that if God makes a promise to Jews, it’s a metaphor; if He makes a promise to Christians, it’s literal except where it refers to the Jews and Israel. Is God so confusingly capricious? Israel is central to Jewish religious and national identity: it is both a theological community and a political community. It is the one piece of land historically promised to the Jewish people as recorded in Genesis. It is the only land where the Jewish nation has ever experienced self rule. 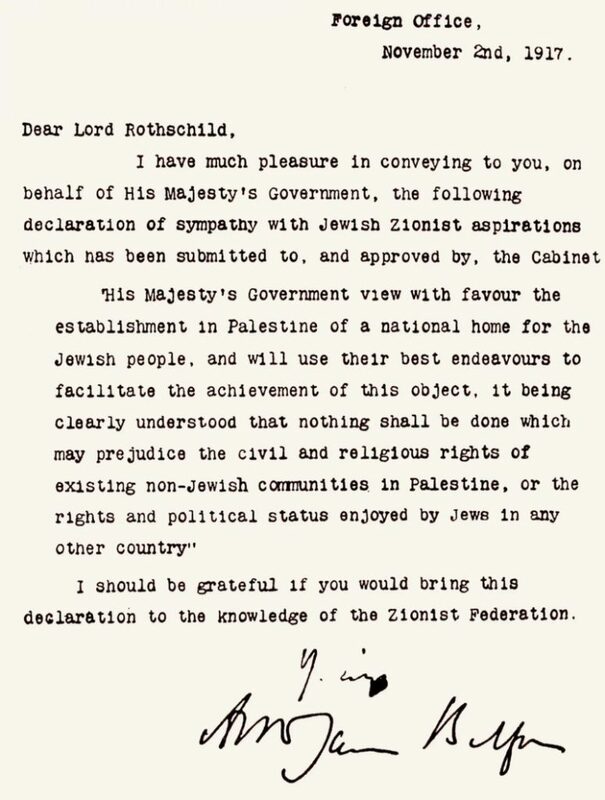 Despite the pervasive anti-Israel (/anti-Semitic) narrative, there has never been an autonomous Palestinian state in the area: it was ruled by a succession of empires until the Ottoman Empire fell in 1917 and the League of Nations granted the British a Mandate in 1920. Archaeological discoveries continue to confirm the biblical record of a land promised to the Jews, who spoke and wrote Hebrew, and worshiped the God called YHWH in what is now called Israel at least 1,000 years before Jesus was born. Jews are the only people who have ever had an autonomous state on this tiny piece of land. They governed themselves as a national entity, producing kings, prophets and poets from whose pens flowed some of the most treasured writings in the history of the world. Jews have inhabited the Holy Land continuously for 3,000 years. Despite attempts by successive occupying powers to expel them, communities of Jews have lived in the Holy Land continuously since the time of Abraham until the present, in, for example, Safed, Tiberias and Hebron. Jews returned to the Holy Land throughout the Diaspora period, notably from Spain and other Mediterranean countries in the late 13th and 14th centuries. In Jerusalem, Jews have been the largest ethnic group since the 1840s. During the British Mandate many Jewish communities in Arab towns such as Nazareth and Gaza were forced out by Arab neighbours and their members joined kibbutzim or moved to predominantly Jewish towns. Since the Babylonian exile, the Jewish diaspora has spread as far as South America, China and Australia. But Jewish ethnic identity, recognised by the countries in which they lived as minority communities, was based on Jewish affinity with the land of Israel and the Jews still living there. At the 1920 San Remo conference, the League of Nations granted Britain a Mandate over Palestine. 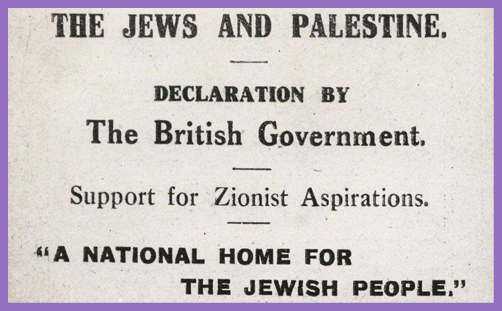 It committed Britain to the creation of a Jewish homeland in Palestine west of the Jordan River. Recognition of ancient Jewish links with the land was foundational to that Mandate. A Palestinian state was to be established east of the Jordan River (present day Jordan). Jews could not settle or buy land there. The assertion that the Jewish homeland was stolen from Palestinians is false. In the early 19th century more than 10,000 Jews lived throughout what is today Israel. In 1880 Jews made up about 6 per cent of Palestine’s population. The land was then a run-down colonial outpost of the Ottoman Empire. Jews purchased much land from Arab owners legally during the late 19th and early 20th centuries and, by dint of huge effort, turned it from rocky hillsides and malarial swamps into productive and profitable land. By World War One, the Jewish population of Palestine was around 85,000 out of 700,000 (roughly 12 per cent). It rapidly became the most dynamic economic centre in the Middle East attracting people from all over the region eager for a share in the growing prosperity of Palestine. In contrast, no independent Palestinian entity or identity has existed until the 20th century. On 29th November 1947, the United Nations voted to create an Arab and a Jewish State alongside each other in what is now Israel and the West Bank. It was accepted that Israel would have a sizeable Arab minority. The Jewish State was allotted 56 per cent of Mandate Palestine, since the UN correctly predicted heavy Jewish immigration from Europe after the creation of the Jewish State. Perhaps they also guessed that large numbers of Jewish refugees from Arab nations would also need a home. Significantly, the Declaration of Independence stated: “We appeal… to the Arab inhabitants of the State of Israel to preserve peace and participate in the upbuilding of the State on the basis of full and equal citizenship and due representation in all its provisional and permanent institutions…” Within days of the British withdrawal, 35,000 Iraqi, Lebanese, Syrian and Egyptian troops invaded Israel. Despite overwhelming odds, and the loss of one per cent of the population of Israel, Israeli forces decisively defeated the Arab armies. Israel took territory beyond the UN allocated borders because their territory could not be defended against further Arab attacks. Some 6-800,000 Palestinian Arabs were displaced as a result of the Arab war on Israel in 1948. Some were compelled to leave their homes by IDF forces, but many left voluntarily before the 1948 war because local and national leaders advised or compelled them to do so. Palestinians who heeded this advice could not return to their homes after the Arabs lost the war. Unsurprisingly, given repeated Arab threats to annihilate Israel, Israeli leaders feared an Arab ‘fifth column’. However, most Arabs who had remained in Israel became Israeli citizens. Jews were also expelled from their homes by Arab forces, for example from Gush Etzion and K’far Darom in Gaza, all built on land purchased legally. And of course Jews were expelled from the Old City of Jerusalem. In addition 800,000 Jews were forced to abandon homes and businesses in Arab countries. They arrived in Israel with nothing. And still the blood is spilled. God told Abraham to “Go…”, and he responded “I will…”. God promised Abraham that his descendants would have a land – a geographic entity – and would be a blessing to all the nations of the earth. Israel is a fulfilment of that promise, or the covenant of blessing is as fragile and ephemeral as the desert covenant. Christians and Jews together can thank the God of Abraham, Isaac and Jacob, and praise the God and Father of Our Lord Jesus Christ for the restoration of the Jewish people to their homeland, because it was an eschatological promise that He would so. And if that was not a promise, then Jesus may not in fact be the long-promised Messiah, and our promised salvation is nullified in a plethora of meaningless metaphors.